Tube Amp Tech. 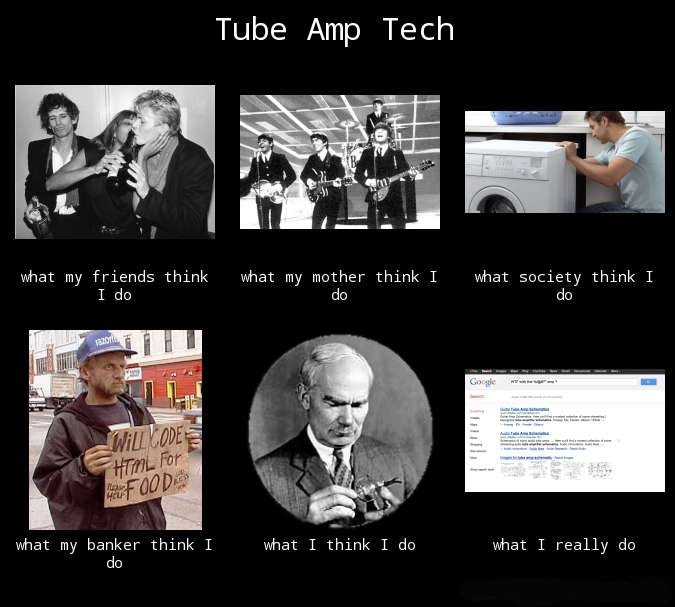 What I actually do | It-11 Audio / Tonegeek"
This entry was posted in Amps and tagged tube amp tech what I actually do. Bookmark the permalink.